With the launch of OS X 10.8 Mountain Lion on Wednesday, review embargoes were lifted, and tech pundits heaped praise on the value offered by Apple in its $19.99 operating system upgrade. Mountain Lion is now available on the Mac App Store at that upgrade price for Snow Leopard and Lion users, while customers who have bought a new Mac since June 11 are eligible for a free upgrade. 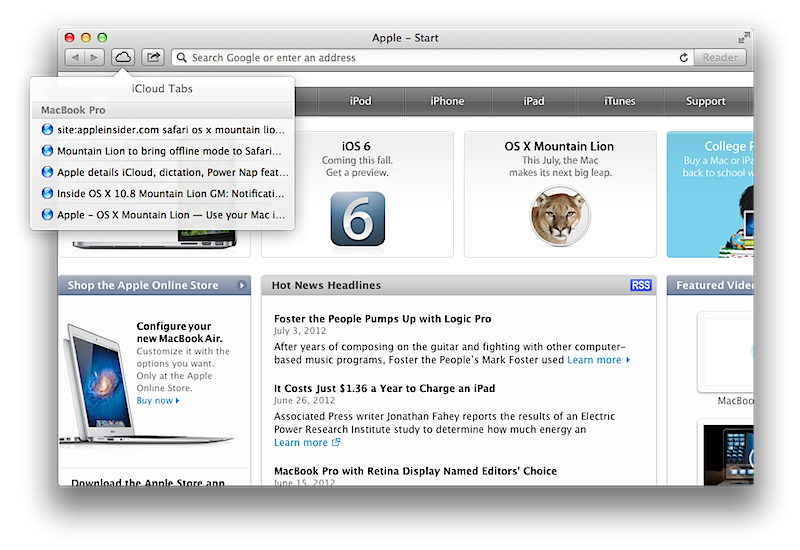 Initial reviews of Mountain Lion issued Wednesday were positive, welcoming new features from iOS at a relatively inexpensive price. "Mountain Lion is a gentle, thoughtful upgrade," Pogue wrote. Though Apple boasts there are more than 200 features in Mountain Lion, he said not all of them are of value to most users. However, Pogue assigned a dollar amount to features that he believes users actually will utilize, like AirPlay Mirroring, voice dictation, Power Nap and Notification Center. Assigning a value to those new features, while subtracting for some various issues, Pogue's "highly scientific accounting" found $46.90 worth of enhancements in Mountain Lion. One of the most valuable features in the eyes of Pogue is the new Share menu. He called it a "clever step-saver" that he believes users will turn to often for posting content to Facebook, Twitter, Flickr or Vimeo. For Pogue, the biggest issue with Mountain Lion is a set of options to save documents that are "almost more confusing than before." Apple has returned the "Save As" and "Revert to Save" functions, though only a few programs incorporate this system. For Boehret, the most important changes in Mountain Lion are the new Messaging application, Notification Center, Dictation, and Facebook and Twitter integration. However, Facebook won't work this fall until a software update is issued. Still, Boehret was "completely addicted" to the Share menus in Mountain Lion. Sharing options are available in Safari, the Notes application, or even individual photos that can be shared with friends. She also had positive experiences with the new Power Nap and AirPlay Mirroring features, which she said work as advertised. Things didn't go as smoothly with Notification Center, which doesn't allow tagging of friends in Facebook updates and doesn't automatically shorten URLs posted to Twitter. Boehret said the software also failed to alert her of dozens of @replies received from Twitter. "For people who already use iPhones, iPads or iPod touches, many of the new features in Mountain Lion will feel like second nature," she said. "I can't completely rely on Notification Center just yet, but this operating system's focus on smart sharing and overall integration with social networks makes it a pleasure to use." The new features of Mountain Lion will look "awfully familiar" to iPhone and iPad users, Baig said, though they "should please the Mac faithful just the same." He found that the changes in Mountain Lion are worth the "modest" upgrade price, though one of his favorite features  Facebook integration  isn't yet publicly available. 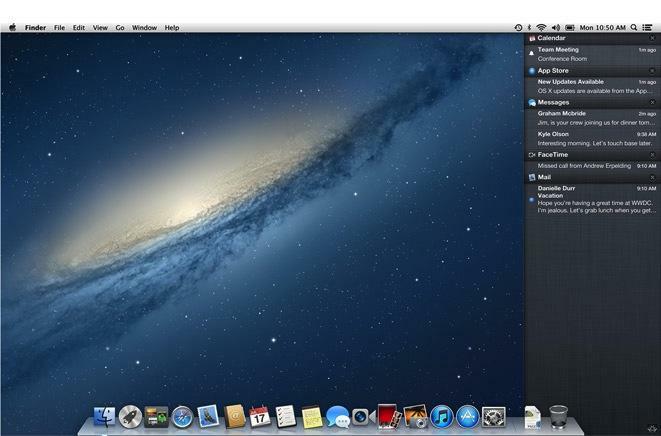 Baig was able to upgrade his 2010 MacBook Air to Mountain Lion from the Mac App Store in just 20 minutes. However, he noted that some older Macs may not be able to take advantage of new features. For example, his second-generation MacBook Air was not able to do AirPlay mirroring or Power Nap. He found that Reminders, Notes, Messages and iCloud integration all worked as advertised by Apple. 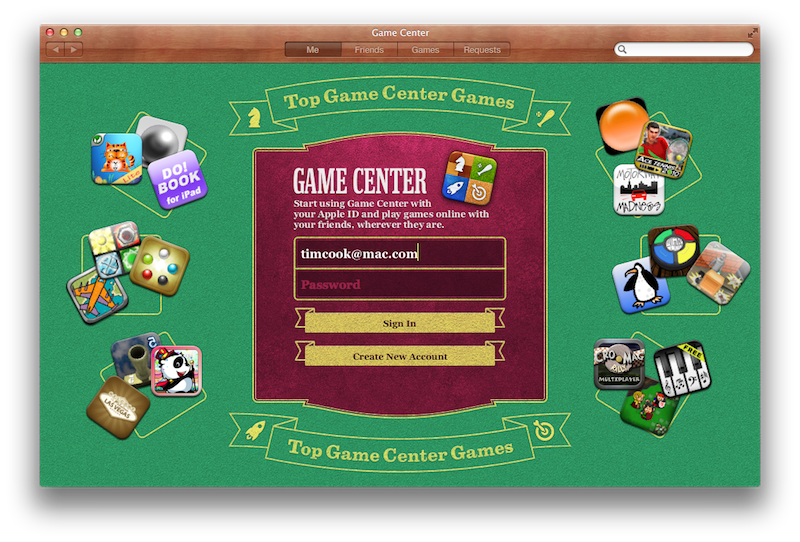 Game Center functionality remains limited, and Baig wasn't able to test competing against other players, as only a handful of Game Center-compatible games are currently available on the Mac. As for dictation, Baig found it convenient to activate the feature by pressing the function key on the keyboard twice. He found that dictation was most reliable in quiet environments, getting it right "more times than not." "Apple has committed to a roughly once-a-year upgrade path with OS X, so don't be surprised if next year, Mac software resembles iOS software that much more," he concluded. "In the meantime, Mountain Lion is one big cat that you'll want on your computer." Other, mostly positive takes are available from Brian Heater of Engadget, Daring Fireball's John Gruber, Jim Dalrymple of The Loop, John Siracusa of Ars Technica, Jason Snell of Macworld, Om Malik from GigaOm, and Jesus Diaz with Gizmodo.